Is your church struggling to implement a communication strategy that will attract new faces and keep your own congregation informed? Communicating Your Faith Story is a Michigan Conference Training Event that will teach how to effectively communicate in today’s society and to equip your faith community to share transforming stories. This half-day program, hosted by the Community Ministries Program at Trinity UMC in Grand Rapids, is designed for local churches with limited budgets and volunteers with limited experience. The program will be led by Mark Doyal, Michigan Conference Director of Communications, Chairperson of the United Methodist Association of Communicators, and 2016 United Methodist Communicator of the Year. 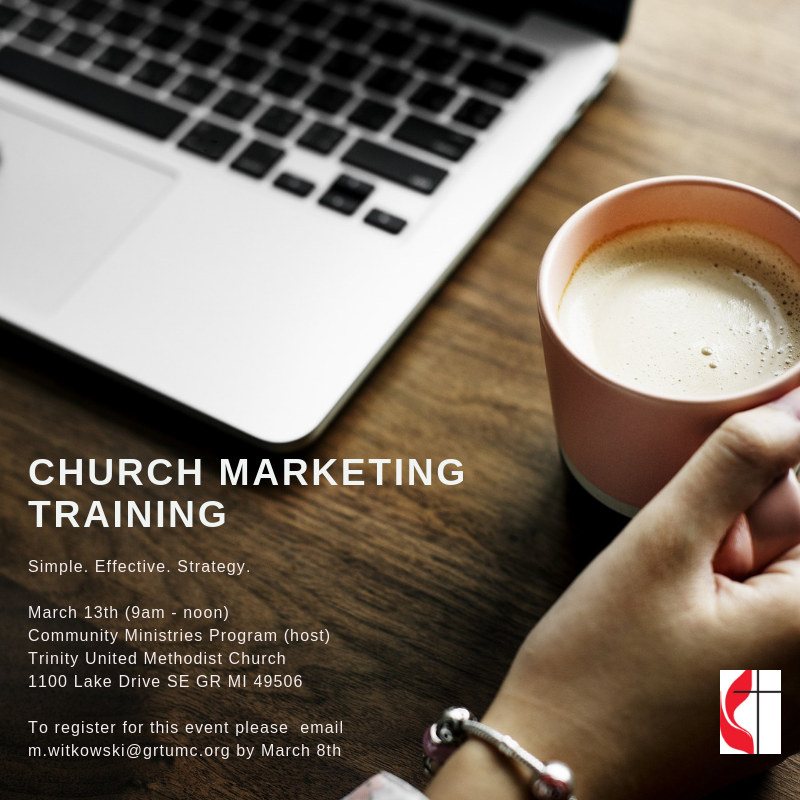 Mark’s program will cover the fundamentals of launching a successful communications strategy that helps people connect with your church in a new way. By engaging your audience online first, you extend your reach beyond Sunday services and expose your audience to your message before they visit your church. The workshop is free. Seating is limited and registration required by emailing Community Ministries Program Director, Matt Witkowski at m.witkowski@grtumc.org by March 8 deadline.